We all hate ads on the internet. Let's face it, if we could avoid them all forever we would but social media services and news sites are becoming aware of that fact and are making it harder, if not impossible, to access their sites without ads. Facebook is one of the services doing this and recently Adblock Plus tried to fight back against them but it looks as if they're losing. Advertising on websites is an unfortunate necessity. For many of the sites we love to view, it's their main source of income so if we want to keep accessing their services, we need to view their ads. Some sites give you the chance to donate a little money to view a page if you have an adblocker installed and don't want to turn it off but not all. What Facebook has done has essentially made it so it would be pointless to pay not to see the ads. For a lot of people that's not too much bother, they can't or won't use an adblocker so this change really hasn't made any difference. Basically, the ads on Facebook are now considered posts in the HTML. This makes it more difficult for the adblockers to find the correct coding to block as it's all muddled together. After crowdfunding and several days, Adblocker Plus finally figured it out and offered their users an update. Unfortunately for them, Facebook discovered this pretty quickly and within a few hours, Adblock was disabled again. The reason Facebook gave for blocking this update was that it was causing some users posts to disappear from the newsfeed as well. Most people seem to be saying that actually, they didn't but it's actually really hard to tell. Not every single post a person makes will show up on your newsfeed so if something isn't there and you see it on that user's page then you just assume Facebook didn't show it to you. So for all we know, it could have made posts disappear but it might not of and either way, it doesn't really make much of a difference to us. 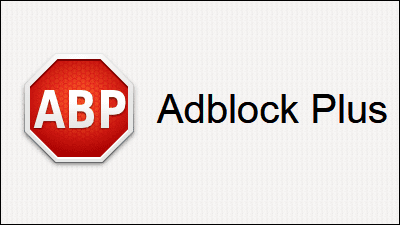 When it comes down to it, the argument here is whether ad blocking software is acceptable or not. We all know that the services we love require the money from ads but a lot of the time, we don't care. The adverts are often right in our eye line and we just want to avoid them. I've seen a few people saying how services like Facebook and Tumblr might benefit from offering users the chance to have an ad-free account if they're willing to pay a sum monthly. That might be less money then Facebook are getting now but there could be something to that. There will be some users unwilling to pay but still complaining about ads but that's all par for the course, at least they'd have the option. This workaround and update have certainly reignited the flames so I guess we'll just have to see what move Adblock Plus makes next.